With a back catalogue of over 350 flavors of KitKat, Nestle Japan Ltd. has set the bar high when it comes to satisfying Japan’s feverish appetite for new forms of the snack brand. So much so that taking things to the next level has lead the confectioner to create or seek out altogether new kinds of chocolate upon which to base their latest releases. 2018 saw Nestle Japan become the first in the world to commercialize pink “ruby” chocolate through its premium version of the snack with the release of the Sublime Ruby KitKat in January that year, ahead of Valentine’s Day celebrations. 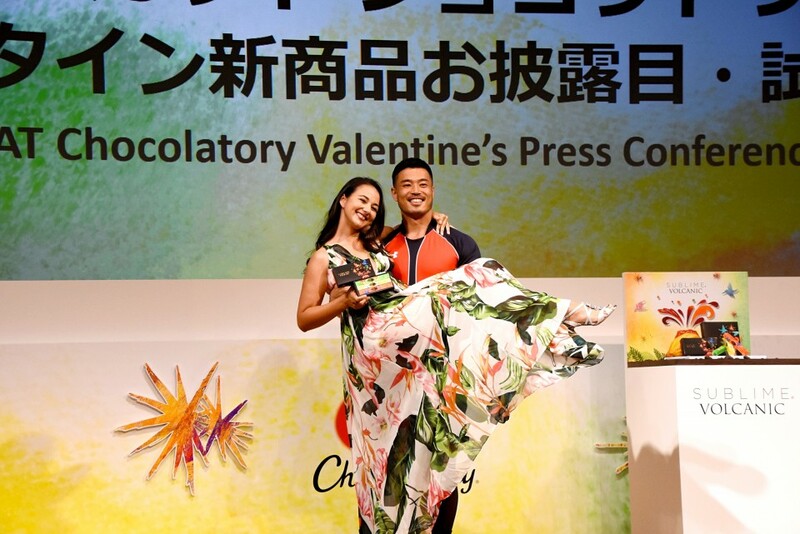 And the maker has romantic couples in its sights once again in 2019, this time tapping into the core of rumbling Valentine’s passions with the Sublime Volcanic KitKat which hit shelves of the brand’s boutique-style KitKat Chocolatory on Tuesday. 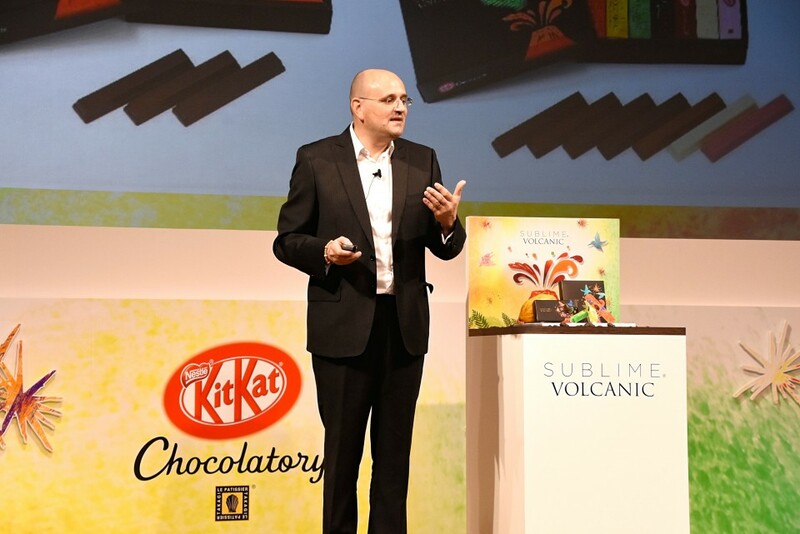 At a launch event held in Tokyo’s Chiyoda Ward on the day of the release, Nestle unveiled to the press the KitKat Chocolatory Sublime Volcanic (キットカット ショコラトリー サブリム ボルカニック), made with volcanic chocolate -- a new kind of chocolate created using a rare type of cacao, accounting for only 0.2% of world production, cultivated on volcanic islands. “Japanese KitKat is the lighthouse and is increasingly successful with not only Japanese people but also consumers from all over the world including inbound tourists who are visiting Japan more and more each year,” Cédric Lacroix, Nestle Japan’s Confectionary Business Group Managing Executive Officer, told press during the launch. 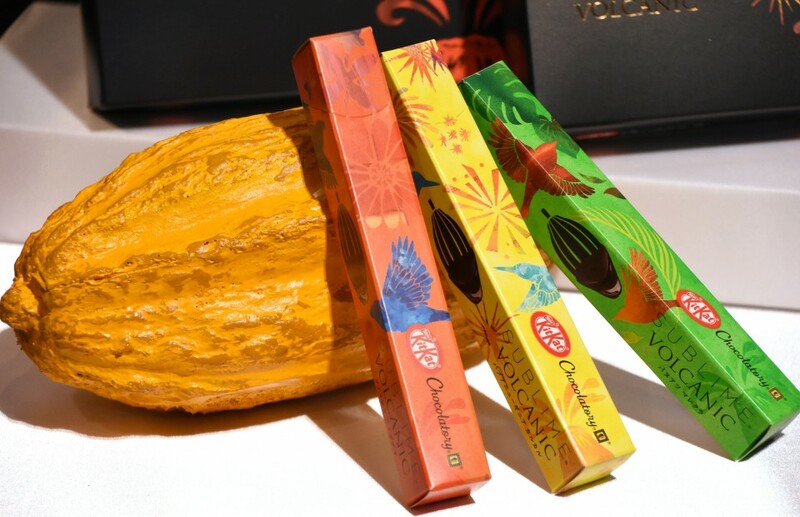 To create the new premium KitKat, Nestle teamed up with London-based Firetree Chocolate Ltd. whose owner, Martyn O’Dare, was also present at the launch. “I’ve worked mainly with West African cocoa and Central American cocoa but over the years I occasionally came across a spectacular tasting bean and a curiosity for this bean and its unique flavor stayed with me,” said O’Dare of the beginnings of a journey that took him to meet farmers on volcanic islands in Vanuatu, Papua New Guinea and The Philippines, whose harvests account for less than 1.5% of global cacao production. But in the age-old adage of ‘quality, not quantity,’ it’s in the lava-rich soils of these volcanic islands that the farmers cultivate what O’Dare refers to as the “super premium cocoa” used in the Sublime Volcanic KitKat. 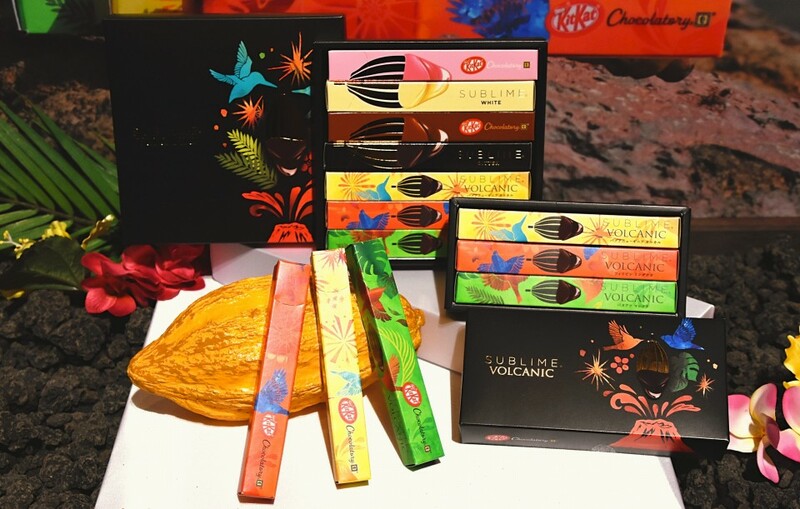 Responsibility for moulding the volcanic chocolate into sublime KitKat form once again fell on the shoulders of Chef Yasunari Takagi, the pâtissier who has been overseeing the Chocolatory and premium range of KitKat since the project began in 2003. 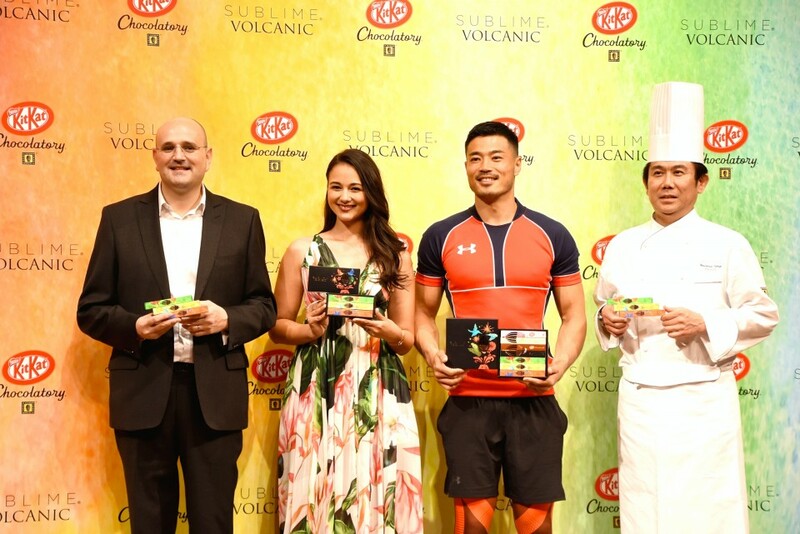 Chef Takagi, who describes the taste of the new KitKat as “the taste of the earth,” brings to the nation’s shelves then a Sublime Volcanic KitKat that comes in a series of three flavors -- Vanuatu (Malakula Island), Papua New Guinea (Karkar Island), The Philippines (Mindanao Island) -- each bringing their own personality to proceedings, and in a packaging that creators feel will deliver the happy vibes and raise the mood on Valentine’s Day. Individual bars of the Sublime Volcanic retail at 400 yen (exc. tax), a box set of the three flavors is 1,300 yen (exc. tax) and are available at KitKat Chocolatory nationwide from today as well as some 50 pop-up stores and online. Online pre-sales of the new KitKat began in December 2018.